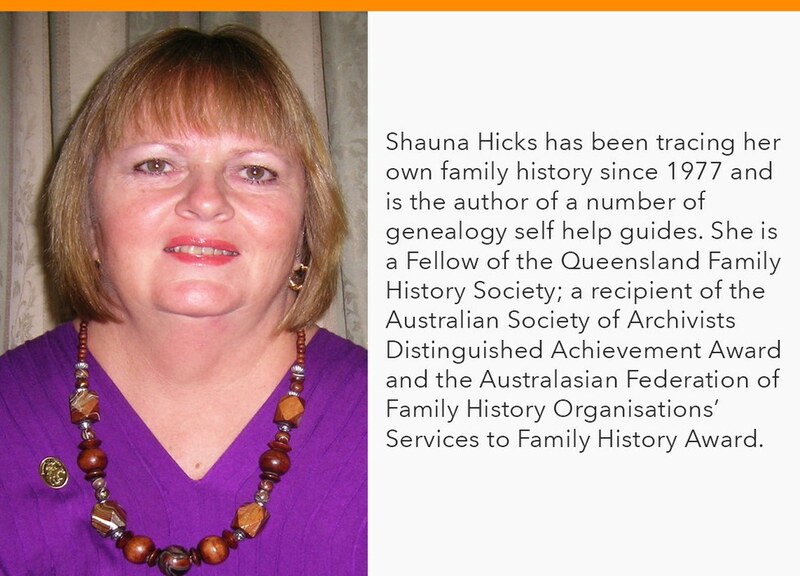 Experienced Australian genealogist and blogger, Shauna Hicks shares her advice on discovering your relatives' records down under. Researching in Australia is not straight forward as each state and territory has separate record systems with few Australia-wide resources. 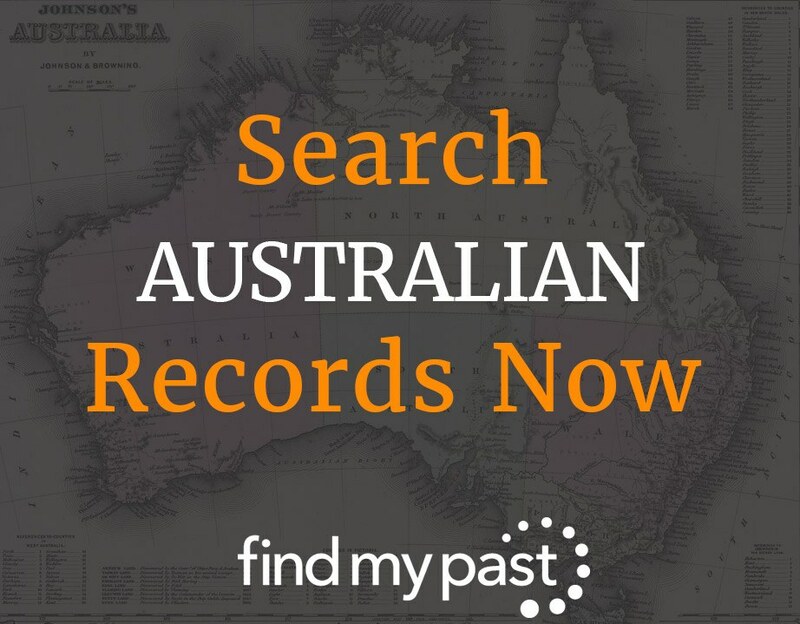 That is why using Findmypast is a good idea as you can search across all of the Australian resources using a person's name. If you want to search just a particular state, then you can use the name of the state as a keyword when searching the catalogue to see what records are actually included for that state. There are some basic things you must know to research family history in Australia. This is probably true of any place that we want to search for ancestors, but while Australia is a single country it is made up of individual states and territories. These states and territories, with the exception of Western Australia, were originally part of New South Wales. Early Queensland records, for example, will be in the State Archives and Records of New South Wales prior to 1859 when Queensland was established. There may be some overlap so also check early records held by Queensland State Archives. All original government records for Western Australia will be with the State Records Office of Western Australia. State and Territory boundaries have also changed over time especially for South Australia, and responsibility for the Northern Territory moved between South Australia and the Commonwealth after Federation in 1900. How Findmypast can help - There are a number of digitised early histories such as Fox's History of Queensland (3 volumes), Aldine Histories and Cyclopedia's for a number of states. These large histories are not usually indexed by person's name but by using Findmypast you can find a reference to someone very quickly. 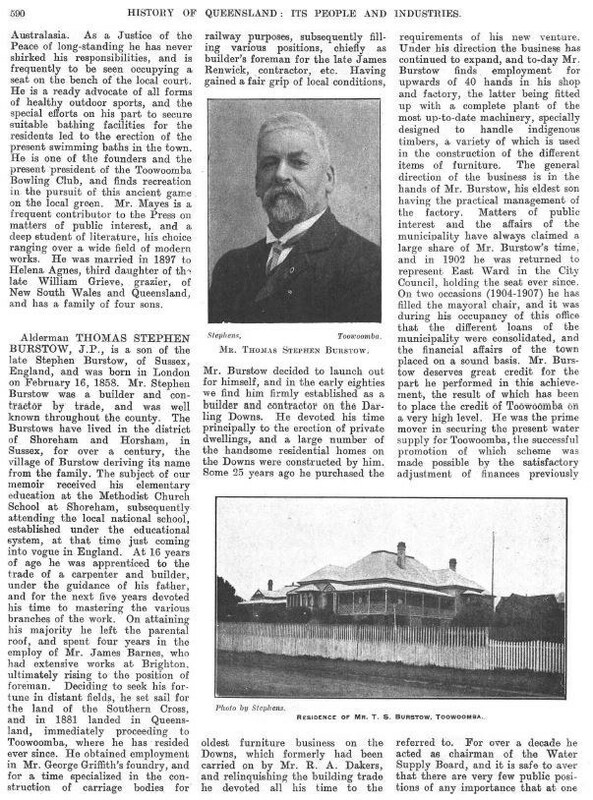 One of our relatives, Thomas Stephen Burstow has a full page biography in the History of Queensland including a photograph of him and their house in Toowoomba (image 603). These digitised publications can also be keyword searched for a place name. Another family were in Copperfield in Queensland so from the A-Z of Record Sets, I searched for Queensland to see what was available, then selected the Aldine History of Queensland (published in 1888) and searched for Copperfield. Copperfield is about four miles distant from Clermont, the number of inhabitants being about 200. At one time it was one of the most flourishing of mining townships, but since the value of copper declined it also has retrograded. While not a lot of information, it does tell me why my ancestors probably moved there, it had reached its peak before 1888 and it explains why my family moved on to the gold fields of Charters Towers. Mining ancestors can be hard to trace so knowing background history can be useful. Civil registration started at different times in the states/territories and before those dates there may be church records. Also, the information contained on birth, marriage and death certificates varies from state to state and at different times. For example, on Western Australian birth certificates, the parents ages, place of birth and marriage details are only included after 1896 which is quite different from the eastern states. How Findmypast can help - If you have no idea what state a person was born, married or died in, then a person search may help to narrow down what you're looking for. My great great grandmother Elizabeth Trevaskis nee Rosewarne married again in Copperfield. A search in Life Events shows that she married George Guy on 25 November 1873. I can then search for any children from the marriage and also look for any deaths. In this way you can build a brief family tree that you can add to as you discover more information. The individual State Archives and State Libraries all have wonderful resources for tracing your family history in that state. Look for an online guide to family history which will have links to key resources and other useful information. There may be online indexes and digitised records and what is available does vary from state to state. How Findmypast can help - Some records held by archives and libraries are searchable on Findmypast including convict records, immigration lists, naturalisations, directories, electoral rolls, blue books, government gazettes, education gazettes, police gazettes, brands directories, intestacies and wills, land records and other resources. 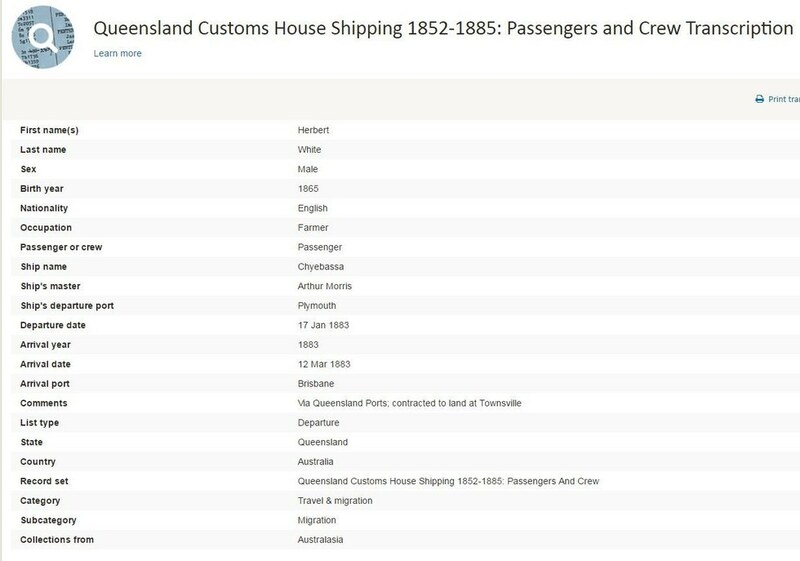 My great grandfather Herbert White came out to Queensland on board the Chyebassa in 1883 and the entry in Findmypast states that he was contracted to land at Townsville. The entry also states that he was English, born in 1865 and a farmer. Some of these records are digitised copies and you can see all information available while others are simply indexes and you need to go to the original record to see any additional information. Australian War Memorial - a central database to military records from colonial times to more recently. National Archives of Australia - immigration post 1900, naturalisations, military dossiers for World War One and lots of other indexed records through the online catalogue ArchivesSearch. National Library of Australia - with a Library e-resources card you can have access to online resources at home including British and Irish digitised newspapers. Trove - a central resources for digitised newspapers, photographs, maps, books and other resources. How Findmypast can help - There are a number of Australian military collections and once you have some basic references you may be able to find additional information in digitised collections of war diaries at the Australian War Memorial. Similarly, with the names, dates and places you discover in Findmypast you can do a search in Trove's digitised newspapers to see if there is any report on the event in a local newspaper. Having learnt that George Guy died in 1894, a search for a death or funeral notice in Trove was successful with this simple account - GUY, at his residence, Wellington, on 24 December, George Guy, aged 55 years (The Northern Miner, 28 Dec 1894, page 3). These four must-know topics will help you research your family history in Australia and Findmypast can provide lots of clues for individual ancestors. Make sure you look for places as a knowledge of where they were living and working also helps you to understand what their life was really like. Use the A-Z of record sets to search specific records for individual states. This can be quite useful especially if you have common surnames. The more information we have about our ancestors, the more we really know them and the community in which they lived.